Last week we had record breaking heat in Los Angeles. It was over 100° in most parts of the city, up to 123° in the desert (RIP Palm Springs). The extreme heat makes it hard to do anything, especially cook. I don’t want to think about a hot oven, or putting any warm food in my body. What I need is to eat and drink things that will cool me down. I reached out to several of my food blogger friends and asked for delicious recipe suggestions to help me survive the next heat wave. 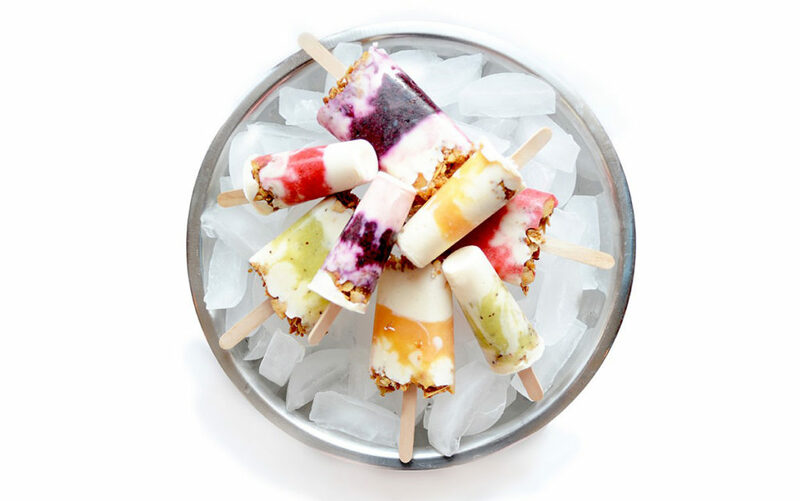 The result is a collection of mouth-watering homemade ice creams, popsicles, fruit infused beverages, and other cool treats that will make the next heatwave bearable. S’mores is a traditional summertime treat, but who wants to sit around a campfire and roast a marshmallow when you feel like you are roasting yourself? 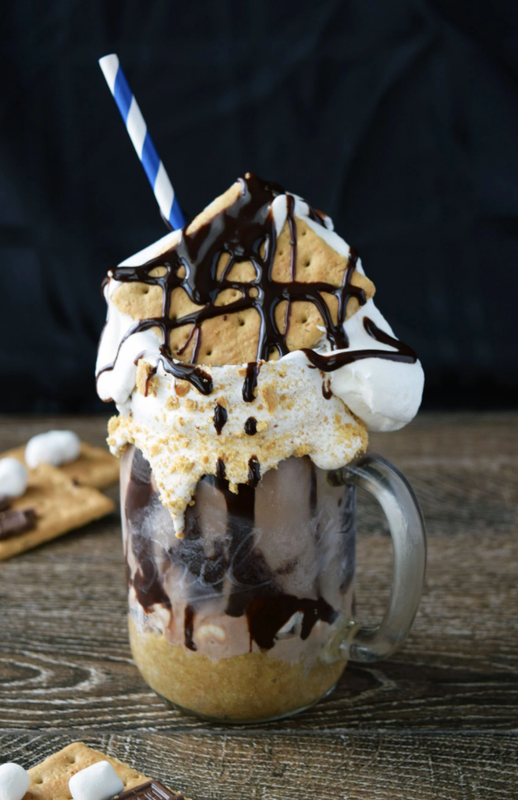 This milkshake is the perfect way to get that classic s’mores taste without the heat. Janette and I are somewhat obsessed with Pellegrino, so when I saw this beautiful Pineapple Mint Sparkler it was love at first sight. 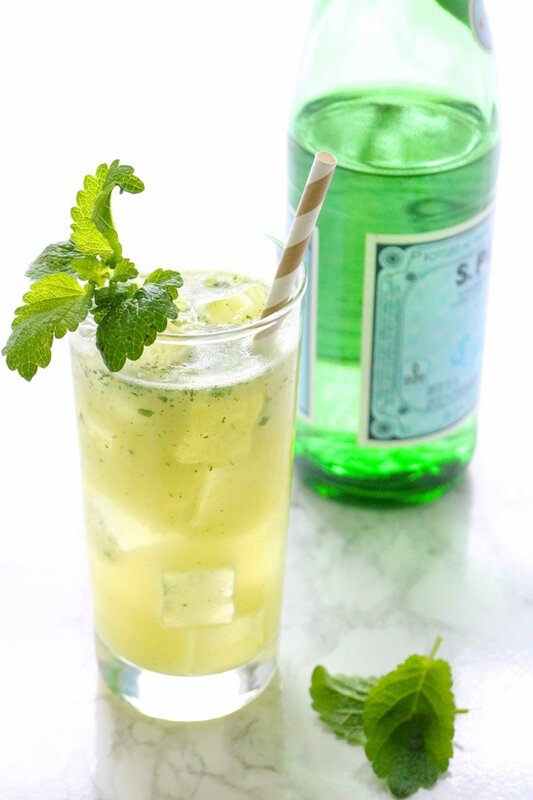 It reminds me of the refreshing pineapple & mint juice my Brazilian friends used to make to cool down. and this recipe is good inspiration to get to it. The addition of mangos makes it seem so tropical! And who doesn’t love cold shrimp for lunch on a hot day? A cool breakfast is a must during these summer months. Why shouldn’t it be beautiful too? 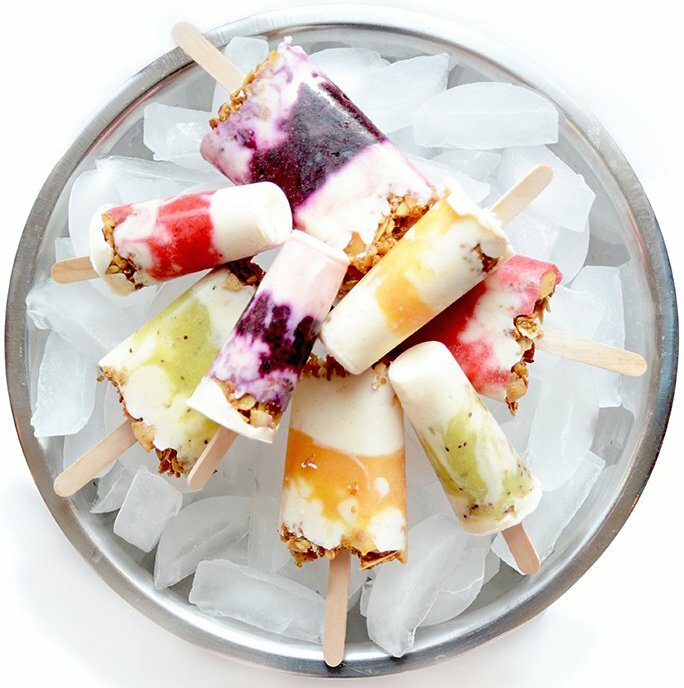 These Fruity Yogurt Pops are a unique make-ahead breakfast that we can’t wait to try. I can never turn down anything pineapple upside down cake related. And if you followed the blog for any amount of time, you probably know that ice cream is my Achilles’ heal. 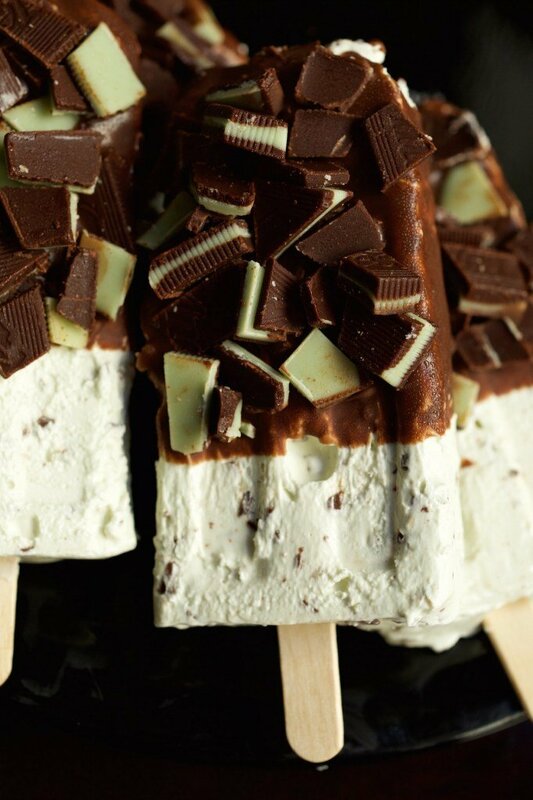 This amazing looking ice cream is definitely going on my Summer to do list! Sometimes you don’t need a full meal, just a snack will do. 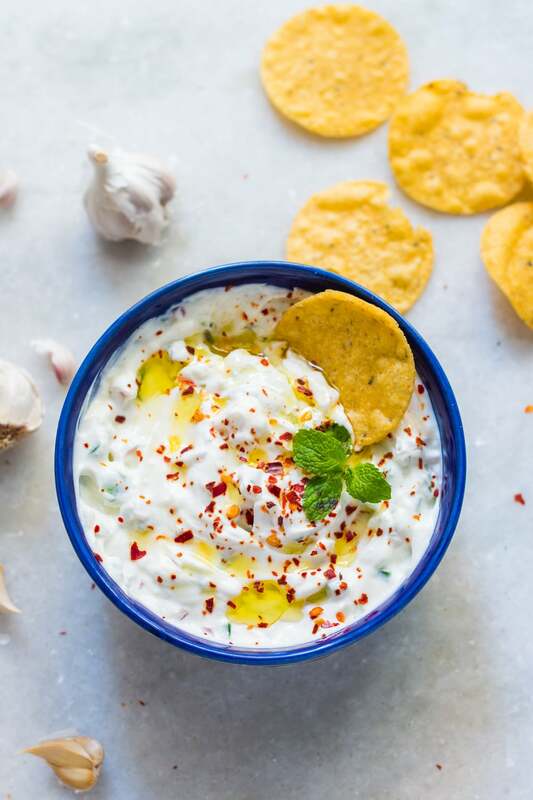 I loved the idea of cooling down with this Garlicky Yogurt Dip. Pita chips and dip by the pool? Do you even have to ask?! Sometimes it’s just too hot for coffee. Ice coffee? Pssht. That’s been done. 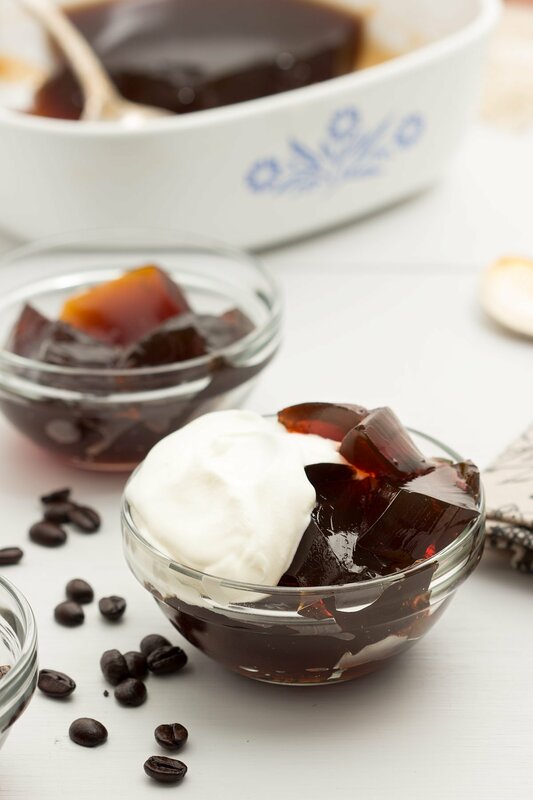 How about some refreshing coffee jelly with a side of cool whip? We are in for that! 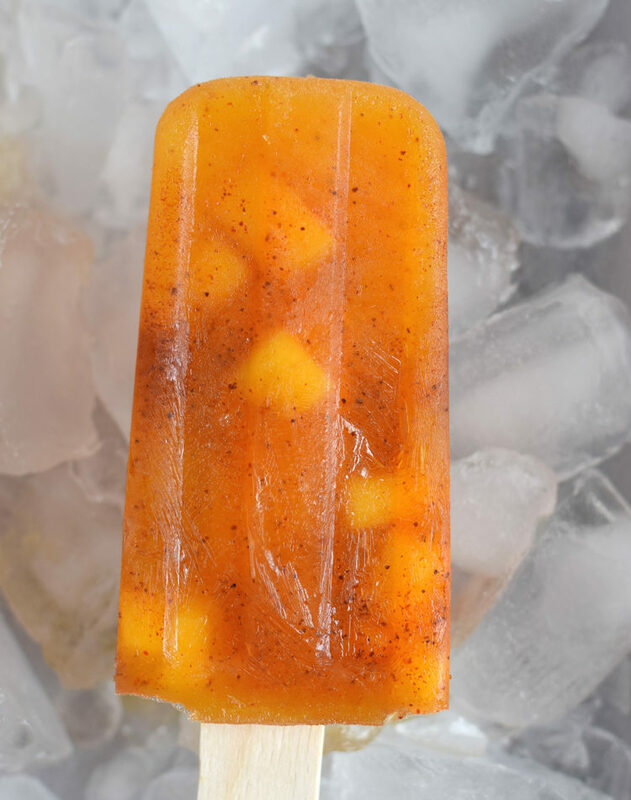 The classic Mexican combination of chili powder and fruit are the inspiration for this popsicle. I would love to enjoy one of these while riding down the bike path in Santa Monica on a Summer’s day. When I was a kid, one of the reasons I always looked forward to Summer was the abundance of blackberries. 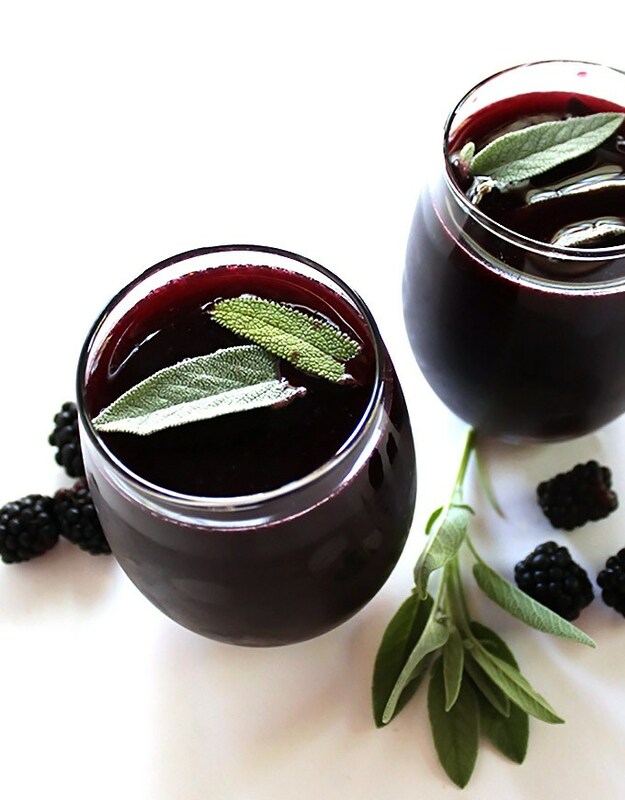 This Blackberry Sage Sangria seems like a great way to relive those memories as an adult. If only I had a porch with a swing to enjoy it on. To me, this looks like the perfect lunch for a hot day. 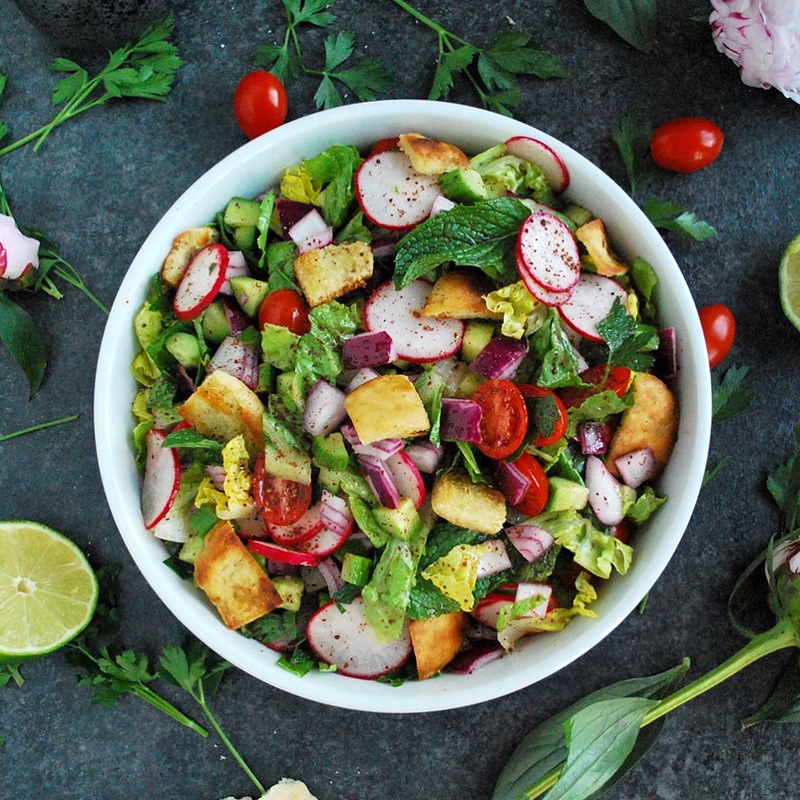 I love all the colors of the fresh vegetables used and who doesn’t want crunchy pita croutons in their salad? Okay, so I slipped one Cooking With Janica recipe in here. 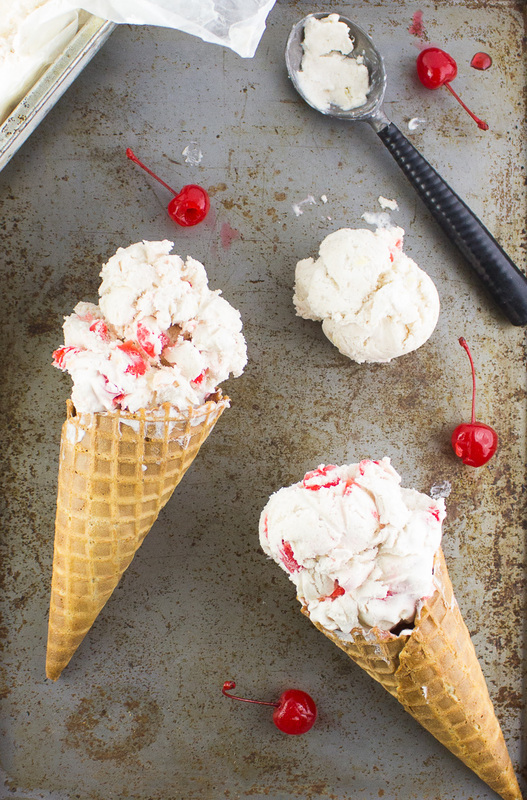 Only because this is literally my favorite frozen dessert and it’s incredibly easy to make. It’s like if cheesecake and mint chocolate chip ice cream had a baby. Wouldn’t you want to put that in your mouth? 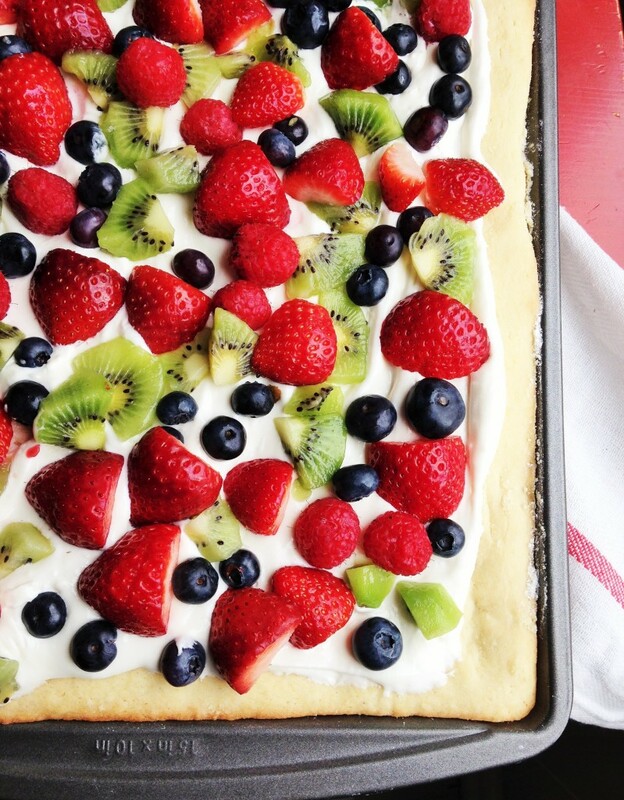 Growing up, I often made fruit pizza with my mom. I love this dessert because even though the crust is cookie dough, you can pretend the fruit on top makes it healthy. I’m a sucker for swirled ice cream. 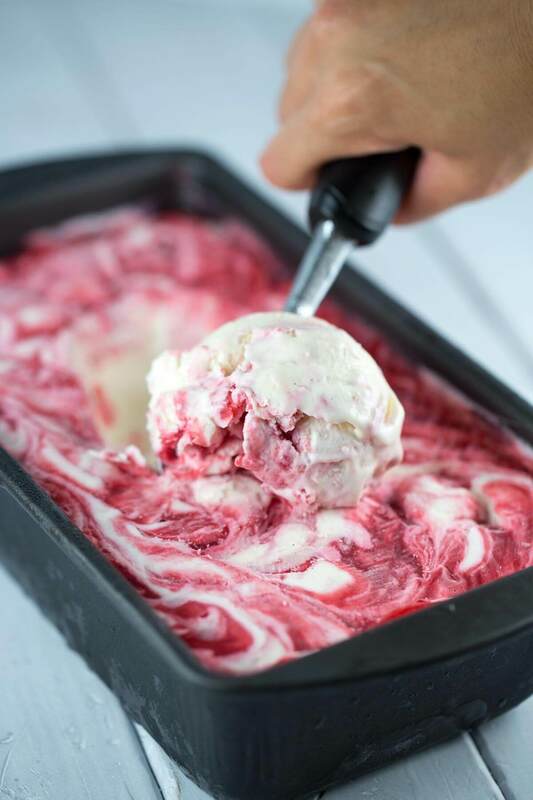 Jessica Gavin makes it look extra inviting with her No Churn Vanilla Raspberry Swirl Ice Cream. I will definitely be loading up on raspberries at the farmer’s market to try my hand at this recipe. The most important thing to do when it’s hot is to hydrate. 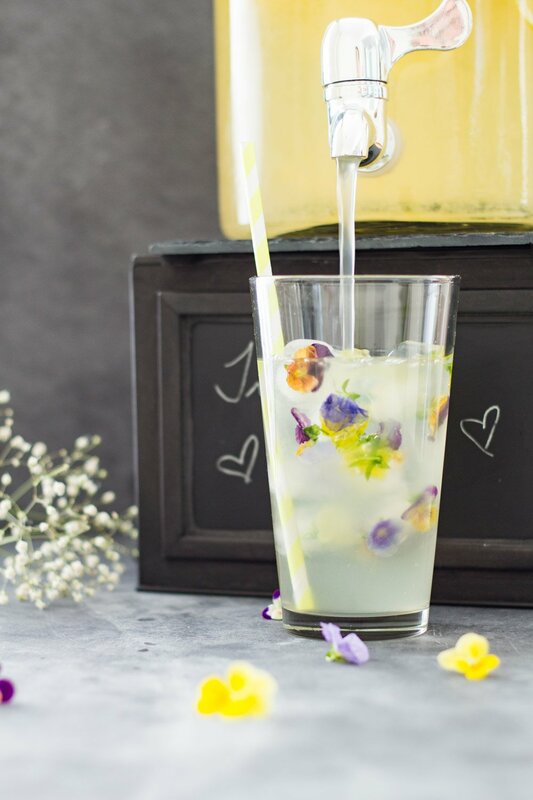 Lorena at Green Healthy Cooking helps make drinking water more exciting with her beautiful lemon infused water. Can’t wait to bust out out pitcher, cut some edible flowers from the garden, and make a batch! We hope you found a few new recipe ideas to help you survive the next heatwave. 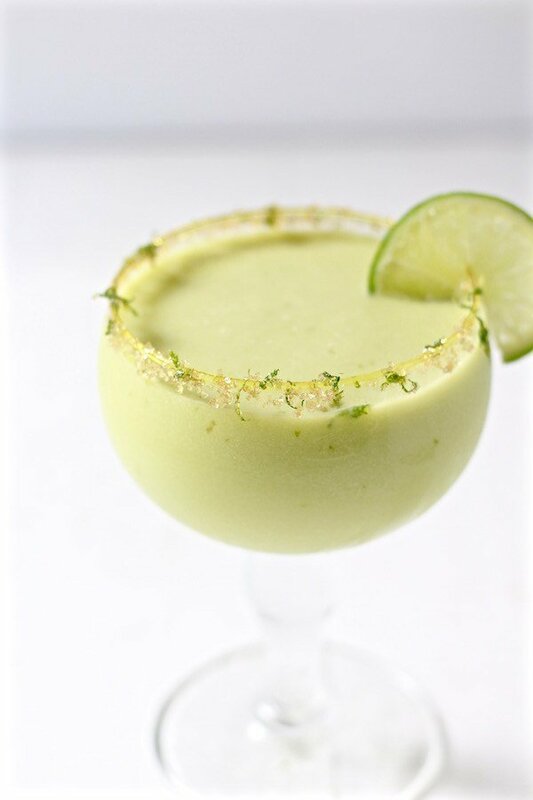 Do you have any recipes you make to cool down during the summer? If you have any that we should try, please let us know! We are always on the lookout for new ideas. 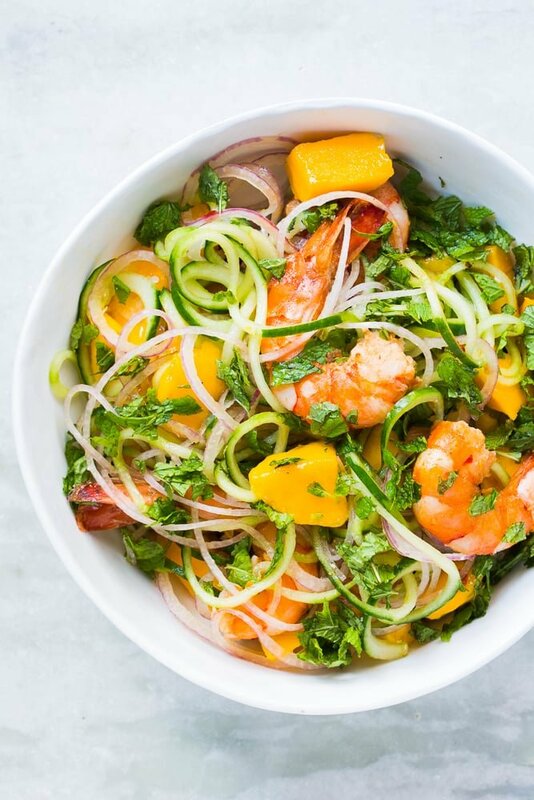 Excellent article, I really loved the idea of adding mangos to a cucumer and prawn salad. Yum! These all look so amazing! I’m moving to Phoenix next month so I’ll be drooling over these again!